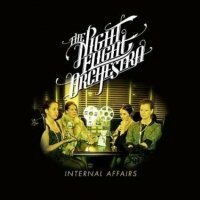 In truth for this review all I would really need to do is write down the bands that the Night Flight Orchestra sound like a leave it at that. Though You dear Fireworks reader deserve more, and the Reviews Editor also expects more! So here is the story behind what is in my opinion one of the best retro rock acts treading the boards in 2012. Soilwork’s Bjorn Strid and David Andersson of Mean Streak (also a Soilwork session musician), were having a few drinks (like you do) whilst on the road in 2007. This lighthearted evening of booze and banter got the two men talking about the music and bands they grew up listening to and the tall stories and legends that often surrounded and accompanied those bands and their “on the road antics”. Bjorn and David decided that these tales (true or not) needed telling and they set about writing a soundtrack to go along with them. 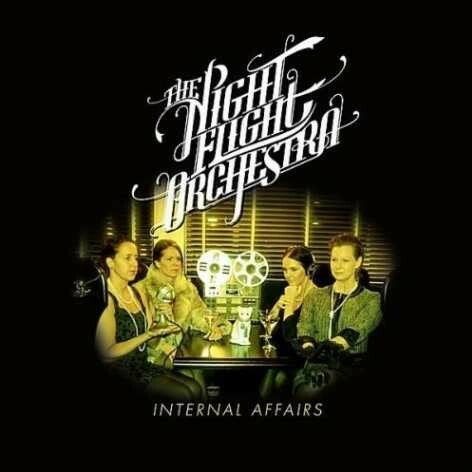 And some five years later The Night Flight Orchestra is here with an album entitled ‘Internal Affairs’: an album unashamedly chock full of stolen riffs, sounds and memories that brought a massive smile to my face as I listened to it. The music is a real blast from the past and yes the band have ripped off Kiss, Boston, Styx, The Eagles, Thin Lizzy and many others to make this album but I don’t care one little bit because it is what it is - a 70s Rock ’n’ Roll record made for a brand new 2012 audience. It makes sense to mention a few of my own faves to tell you about... ‘California Morning’ is pure Kiss; just listen to that riff and guitar work that elicits memories of the wonderful Ace Frehley; ‘West Ruth Ave’ has a disco like melody that underpins the strutting guitars and funky drum beats that dance the song on its way. Title track ‘Internal Affairs’ has a Stevie Wonder ‘Superstitious’ keyboard melody running through it, with violins backing up the catchy vocals making this song is a success from beginning to end. ‘1998’ reminds me of the Michael Stanley Band at their best; with it’s sing-a-long chorus, multi-layered harmonies, superb lead guitar work and sax solo ‘1998’ rocks. ‘Montreal Midnight Supply’ has the twin guitar attack made famous by Thin Lizzy down to a tee and with another big chorus the song is one of the album’s stand out moments. Finally we have ‘Green Hills Of Glumslov’ which has the kind of sound that I miss most about the melodic rock of years gone by, as its warm and velvety tone hits you in the heart as you listen to the song, and makes you want to go and dig out all your old favourite albums from the attic and play them once again. ‘Internal Affairs’ will bring a nostalgic tear to the eye of all those old enough to remember when this kind of music ruled the airwaves. It is quite simply: wonderful!